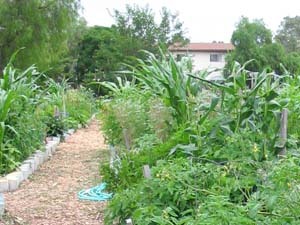 The City of Escondido is home to one of the most unique gardening programs in the state. The City boasts two community gardens with 106 garden plots available for residents to use. Although the City supports the gardens, community volunteers manage each of them individually. Please contact the individual leagers for plot availability. The garden has 80 plots each about 4'x20'. The garden includes a small storage shed, covered cabana sitting area, and picnic tables. Numerous garden faucets are found throughout the garden for watering. The garden also has a bathroom and weekly green waste removal service. The garden also has nighttime lighting. The garden has 26 plots each about 16'x16'. The garden includes a small storage shed and all necessary tools to manage your garden plot. In addition, the garden has a bathroom and weekly green waste removal service. The garden also has nighttime lighting.